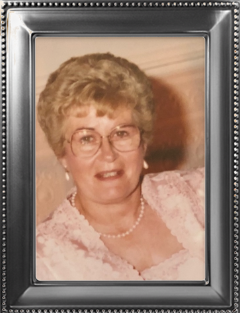 GRANVILLE, NY – Patricia Ann Smith passed peacefully into the loving arms of her Lord on May 2, 2018 surrounded by her loving family. Patricia was the daughter of Harold and Grace Rathbun of Granville and sister to Marie Williams of Granville and Christine Keating of Queensbury, New York. As an extraordinary wife to Gordon B Smith (deceased), mother to 8 children, grandmother to 22 and great grandmother to 25, her love and guidance was our blessing. Patricia graduated as Class of 1949 Salutatorian, Granville Central High School. 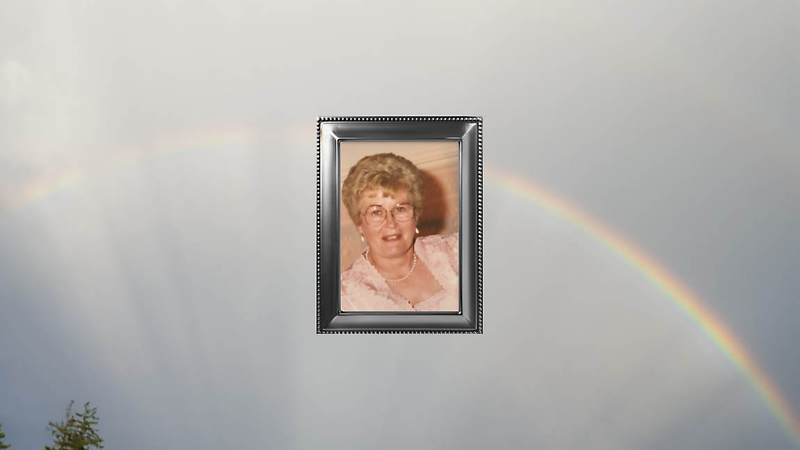 Her early adult years were dedicated to her family, raising 8 kind and honorable children. Mrs. Eileen (John) Heslin of Queensbury New York, Mr. Gordon B. (Michele) Smith of Granville, Mr. Michael Smith of Lake George, Mr. Keven (Nancy) Smith of Whitehall, Mr. Dennis(Karen) Smith of Granville, Mr. Timothy (Mary Jo) Smith of Whitehall, Mrs. Colleen(John) Bates of Wells Vermont and Mrs. Maureen (Walter) Bishop of Granville. Her 22 grandchildren include, Patricia Heslin, Johnna Heslin, Mrs. Megan (Jason) Humphries, Mr. Peter (Kristen) Smith, Meghan (Todd) Haviland, Kaitlin(Mark) Goodwin, Ryan Smith, Brendan(Samantha) Smith, Jodi(Greg) Austin, Stephen Brooks, Melissa (Scott) Brown, Kaylie Smith and fiancé Scott Fowler, Chanyia Newton, Michael (Bianca) Newton, Justin(Shana) Charpentier, Jeromy Smith , Joshua Smith, Taylor (Solei) St. Claire, Jordan(Allie) St. Claire, Luc St. Claire, Adam (Amanda) Bates, Matthew Bishop. Besides her parents, Patricia was predeceased by one grandson Gregory P. Smith. She also has 25 great-grandchildren. Patricia was employed by Washington County Social Services Administration as a Principal Account Clerk through the years 1973 to 1989. She loved her bowling Tuesday nights; was an avid reader and NY Times Crossword puzzle expert. She served her community as a volunteer in the early years of the Granville Rescue Squad when calls were received in DeVecchi’s garage and a brown hearse served as its ambulance. Anne Hatch Rathbun and Joan Tuttle were her duty mates. Perhaps Patricia’s greatest spirit was shown by her remarkable love and concern for others. All who knew Pat will remember her as a dignified lady with a heart capable of great love and compassion. Kindness was her very soul. She would celebrate all your joys and cry with all your pain. Everyone was her dear friend and all children needed her love. She possessed a unique gift to comfort the sorrowful and lift each person’s spirit. Her beautiful brown eyes and warm smile reached out to everyone. Our gratitude extends to the caring people of the Slate Valley Center who loved Pat and cared for her throughout her last years. As well as her special visits from her dear friends Patty Perry and Gail Nelson. Calling hours will be at the Robert M. King Funeral Home, 23 Church St., Granville on Monday, May 7, 2018 from 4-7pm and Tuesday, May 8, 2018 from 12 to 1pm with funeral services at the funeral home beginning at 1pm. Reverend Tom Zelker will officiate, and interment will follow at the Mount Carmel Cemetery, Middle Granville, New York. Donations may be made in Pat’s memory to the Haynes House of Hope, 7187 SR 149, Granville, New York 12832 or the S.P.C.A. of Upstate NY, 588 Queensbury Ave, Queensbury, NY 12804.